Introducing the Garage Accessory Series from the KATs at AMT! Featuring all-new tooling, these kits will add some dynamic dyno-mite detail to any 1/25 scale automotive diorama! The first two sets are “Weekend Wrenchin’” and “Tip Shop Shop.” Wrenchin’ features a giant tool box tower, welding tanks, saw horses, shelving, tools and more! 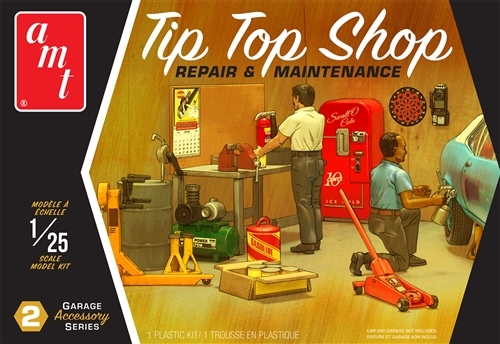 Tip Top Shop includes two deluxe figures, a workbench, compressor, vintage vending machine, jacks ’n stands, oil cans and even a pay phone! Each set comes in retro-styled packaging and includes a large full-color decal sheet with equipment markings, signage, logos and even name patches for the figures. Model car displays will come alive with the Garage Accessory Series from AMT! 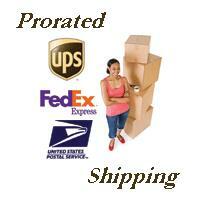 • Featuring new parts tooling!